Deborah Giles is the founder and Executive Director of TTC, responsible for aligning key governmental relationships and shaping policy on behalf of its membership. She also serves as a business development and strategic consultant, advising numerous Fortune 500 technology companies. Deborah brings to TTC more than 20 years of public and private leadership experience, including serving as Chief Operations Officer (COO) and Deputy Inspector General for the Texas Health and Human Services Commission (HHSC), a Texas State agency of 53,000 employees. Her prior positions include National Manager for a global energy company, US Congressional Legislative Director, and Texas Legislature Chief of Staff. She has successfully managed the areas of operations, budgets, technology, public relations, government relations, business development, and sales. 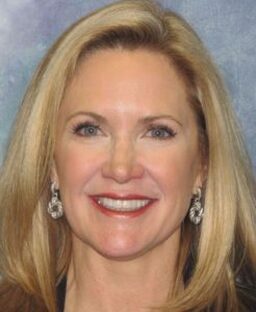 Deborah has been a featured speaker and presenter with corporations and associations including Pitney Bowes, Oracle, Eaton, Blue Cross Blue Shield, Texas K-12 CTO Council, Executive Women in Texas Government, Texas Public Purchasing Association (TPPA), and Clean Air Through Energy Efficiency (CATEE). She is very active with NASCIO, NASTD, e-Republic, TASSCC, NACO, NLC, ALEC, and NCSL.Deborah has been a featured speaker and presenter with corporations and associations including Pitney Bowes, Oracle, Eaton, Blue Cross Blue Shield, Texas K-12 CTO Council, Executive Women in Texas Government, Texas Public Purchasing Association (TPPA), and Clean Air Through Energy Efficiency (CATEE). She is very active with NASCIO, NASTD, e-Republic, TASSCC, NACO, NLC, ALEC, and NCSL. Deborah is a graduate of the Governor’s Executive Development Program at The University of Texas at Austin, a Certified Public Manager (CPM) through Texas State University, and a Certified Inspector General (CIG) through the Association of Inspectors General. She holds a Bachelor’s degree from Our Lady of the Lake University in San Antonio. She and her family live in Austin.